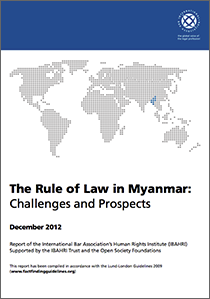 This December 2012 report by the International Bar Association’s Human Rights Institute draws on interviews with over 100 participants by IBAHRI members in Yangon, Mandalay, Nay Pyi Taw, and Bago, including senior politicians, civil society activists, judges, lawyers, diplomats, and INGO workers. Much of its analysis remains relevant today. 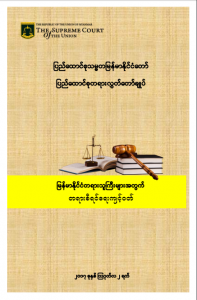 The British Council Myanmar and CSO Loka Ahlinn co-administered the Capacity Building and Rule of Law Promotion Project, which aimed to develop a network of CSOs and legal professionals to raise awareness of legal and human rights. 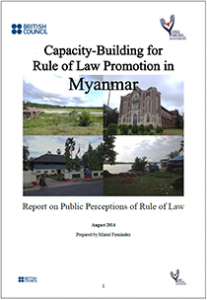 This August 2014 report draws on quantitative and qualitative research on public perceptions of rule of law effectiveness in Mawlamyaing, Bogalay, and Dawei townships. It concludes with recommendations for how to advance reform through advocacy and policy action. 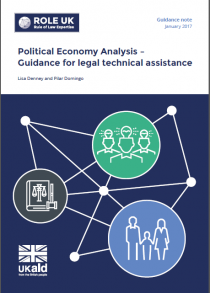 This January 2017 report from ROLE UK gives a practical overview on how to conduct a political economy analysis in the legal sector. Political economy dynamics “determine the distribution of power and resources” and are thus essential to understanding how to sustainably support role of law and justice system reforms.